Nestled amongst lush indigenous gardens on the banks of the Sabie River in Hazyview, Hippo Hollow offers stylish accommodation overlooking picturesque gardens, or the mighty Sabie River. Enjoy a variety of mouth-watering dishes, whilst watching the grazing of the Hippopotamus on the lawn against the backdrop of a sunset. Hippo Hollow Country Estate is situated outside Hazyview on the Sabie River between the Drakensberg Mountains to the West and the low-lying bushveld to the east. It is the ideal destination from which to access the reserves of the Lowveld and the sites of Mpumalanga. Dine in the à la carte restaurant on a variety of mouth-watering dishes and enjoy a selection of South African wines from our wine cellar. Shangaan River Club Immerse yourself in a feast of culture with a night of Shangaan dance and song at the Shangaan River Club. 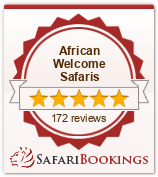 Let the African spirit entertain you, your family, or your group of friends or staff members. The Shangaan River Club welcomes all to the festivities under the thatched boma where song, dance, verse and magnificent food all together form a feast in the true sense of the word. Joint venture community project with local aids orphanage. Learn of the rich heritage and customs of the Shangaan people. Take part in a customary hand-washing ritual. Cultural songs and dances performed by local aids orphans. Narrated folk stories told by Chief. Maximum number the boma can hold is175 people. Starts at 18h30 (no specific day 3 /4 times a week). Swoop over deep and mysterious gorges; linger above roaring rivers and cascading waterfalls, savoring the breathtaking views whilst enjoying a delicious picnic. Exhilarating flights over deep canyons. Linger above rivers and waterfalls. Fly along the escarpment to Gods Window and the Three Rondavels. Blyde River Canyon (1 000 metres deep and 30 km long). Picnic at the pinnacle with magnificent views. An interaction with elephants offering the opportunity to touch the elephant, exchange trunk greetings and offer tasty treats, as well as elephant back rides. Open vehicle safari adventures into South Africa’s largest and world famous game reserve, the Kruger National Park, in a specially modified open vehicle. The Sabie River Bungalows Golf Club is just outside Hazyview, which is about 40 kilometres from the Kruger National Park and situated along the Sabie River. Nature trails and abundant bird life make it a great destination for golfers and their families. Riverbank after a hard day of play. An extremely informative and exciting tour of an African wildlife rehabilitation centre. 2 tours daily at 09h30 & 15h00. Up close views of lion, leopard, servals, caracals, honey badgers, eagles and vultures. Before sunrise, travel to the launch site to help prepare the giant balloon for its launch into the awakening sky. An adrenalin adventure. Travel along the scenic Sabie River through dense wooded vegetation and rapids. For the more adventurous, a 35 metre abseil.